The Lady Badgers Varsity (8-2), was in that Austin Crockett tournament thru Saturday, and they just kept it up, beating 4A Hondo 55-32 and 4A Taylor 62-47 to add to their record where they had beat 5A Cedar Creek 64-26 and 5A St. Michaels 62-46 the day before. When it was all over they were 5-1 in that tournament at Crockett, losing only to 5A State Ranked Crockett team in a close 47-52 game. Congratulations on an outstanding performance in this tourney, winning over so many bigger schools. The Freshmen A team finished 7-1, after beating 5A Pflugerville 33-12 and 6A Shoemaker 40-28. The JV team beat 5A Cedar Creek 31-24 but lost a close one to 6A Round rock 28-29. 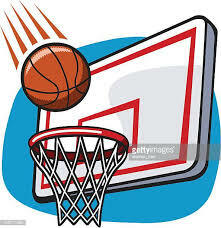 Badger Basketball (0-2) played Pflugerville Weiss on Saturday and played close but lost it 40 to 49. Everyone knows Coach Aaron Nuckles is working with only a couple of players that had any varsity playing time last year. Senior Kolbe Penick is one of those and should be a leader on the court. He put up 7 points against Pflugerville. Raven Wade was the high pointer with 10. Raven played behind Xavier Nix, who graduated last year and could be a rising star this year. Perhaps a real notable this year is Nate Borchardt, who put in 8 points against Weiss. Nate is a freshman and the son of Rob Borchardt, who was a star athlete for Lampasas several years ago. Another freshman, Quinn Pace is getting favorable review from his coaches. Dale Allen is another name to mention from the games played so far. In the Weiss game he had 6 points, but more notably got 8 rebounds. Coach Nuckles is waiting for a few good players to come back from playing football right now. One of those is Michael Murray, a sophomore who should add a lot, and Ethan Rascoe who proved to be a really enthusiastic and tough member of last year’s team. Giovanni Bienbenu is expected to come in after football and though he didn’t play last year, Coach thinks he’ll add a lot to the team. Jaylon Porter is due to come back as soon as he gets over football injuries, but all that is a big question mark right now. So-o, though Coach Nuckles says he doesn’t like the term “rebuilding” because “it’s always like this” with kids leaving and coming on…he does admit that right now, he is trying to put it together for a challenging season.